The bridges of Paris are part of the architecture and history of the capital. There are 37 bridges in the capital where locals and tourists like enjoy walking and observing the city all year long. 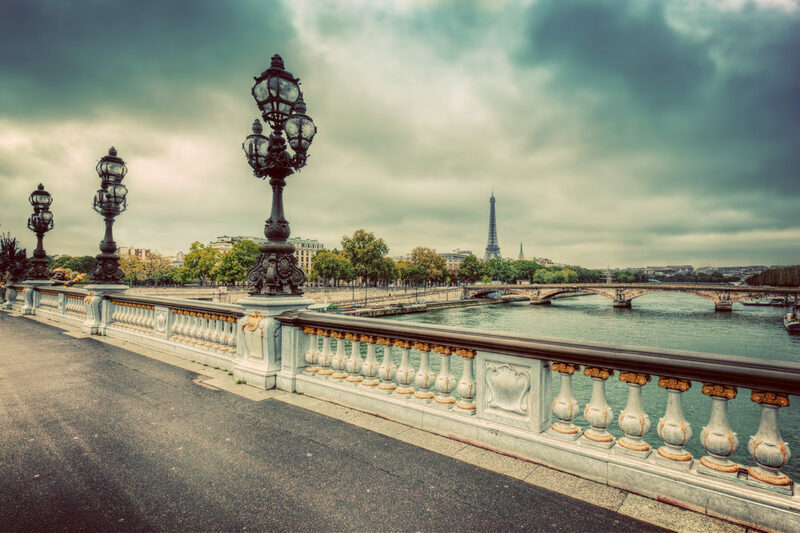 But do you know the history of the bridges of Paris? Here is a panorama of the origins of the main bridges of the city of Paris. The 174-meter long Austerlitz railway station bridge connects Austerlitz station to Gare de Lyon. It was erected between 1802 and 1807. Its 5 arches were enlarged by 30 m in 1885 and the cast parapets are replaced the same year by stone parapets. The lion surrounded by flags symbolizes the Republic. The 168 m long Tolbiac Bridge is the last bridge in the city built of stone masonry. Two plaques on the bridge commemorate the tragic event of October 3, 1943 when four French airmen died in an English plane. The 62 m long Saint-Michel bridge was built at the request of Napoleon III, the “N” affixed to the bridge symbolizing the latter. The Small Bridge – Cardinal Lustiger of 31 m was built between 1852 and 1853 and was rebuilt many times following floods of the Seine or after having been carried away by flames. The Bir-Hakeim Bridge (formerly called Passy Footbridge), 247 m long, was built between 1903 and 1905 by the engineer Louis Biette and the architect Jean-Camille Formigé. The lower deck is for cars while on the upper deck passes line 6 of the Paris metro. It was in 1946 that it was renamed Bir-Hakeim Bridge in memory of a French victory over the Germans in Libya. The Mirabeau bridge, which has three steel spans, is 165 m long. His four sculptures represent Navigation, Abundance, the City of Paris and Commerce. The 142m long Alma Bridge was built between 1969 and 1973. Only a statue of the old bridge – the famous Zouave – has been preserved. It allows to measure the flood level of the Seine.